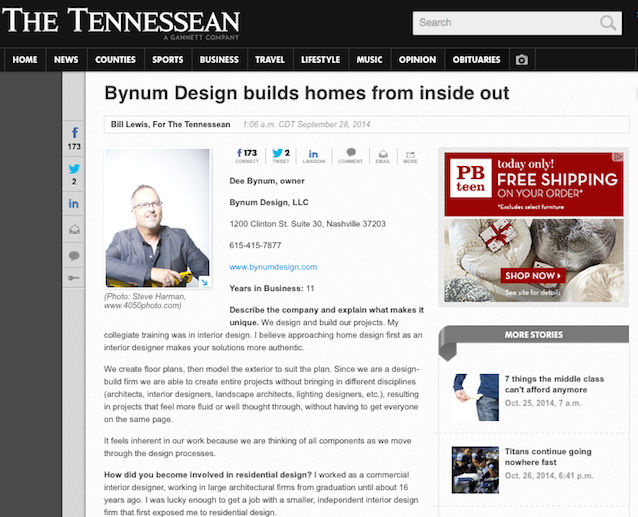 Bynum Design Featured in The Tennessean–Twice! 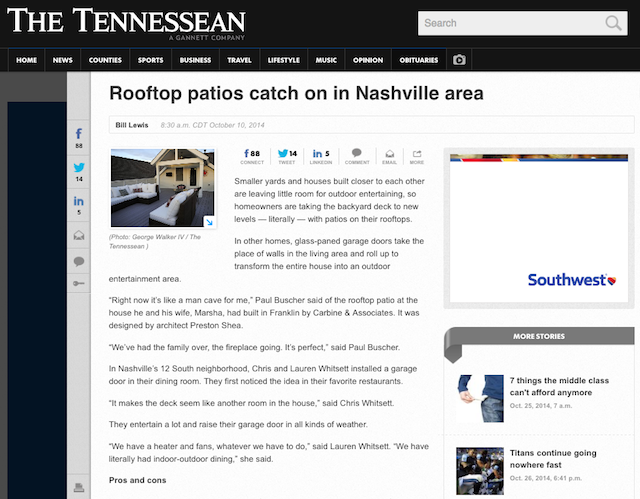 We got extra lucky and were featured twice in The Tennessean this past month, which was incredibly nice. We couldn’t be more delighted. Big thanks to The Tennessean for the coverage. This entry was posted in News and tagged bynum design, press, the tennessean on October 27, 2014 by Ellen Barnes. 1. 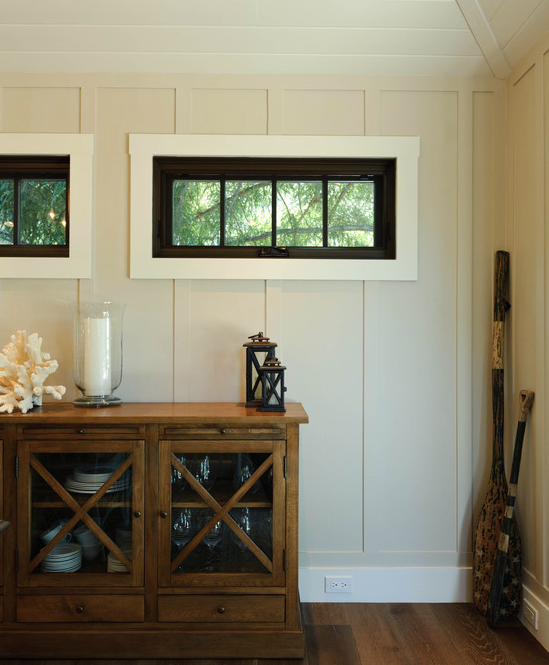 Shiplap paneling: First, it bears mentioning that “shiplap” is just a lovely word to say. So pat and succinct. And doesn’t it, simply by virtue of having “ship” as part of its name, communicate a coastal/beach house feel? 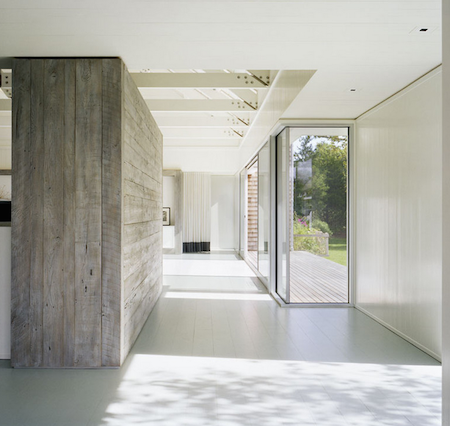 Shiplap, which is usually laid horizontally, acquired its name as its panels overlap, with grooved boards called “rabbets” fitting together tightly to form a weatherproof seal. 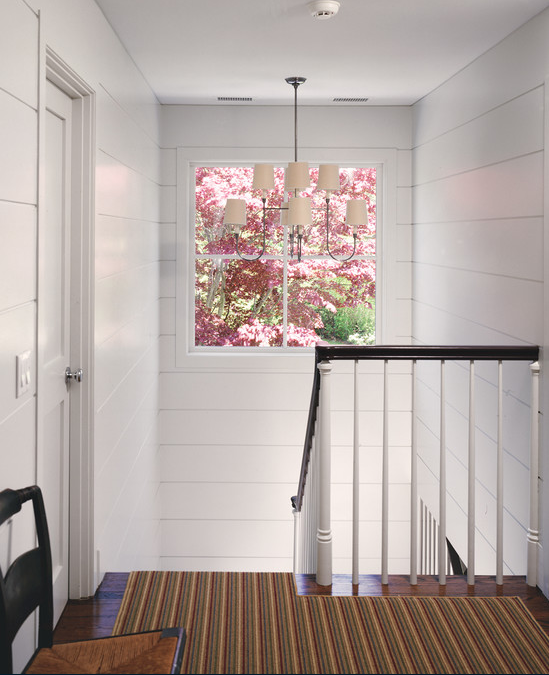 Shiplap is inherently informal and tends to make the most sense in cottage-inspired homes in need of the texture and the warmth of a natural material. It first came into popularity on home exteriors. 2. Tongue and groove: Tongue and groove is very similar to shiplap and offers the same clean, classic look. The difference is in the way the boards connect; while shiplap panels are joined with a rabbet joint at the top and bottom of each board, tongue and groove paneling connects where the “tongue” of one board fits into the “groove” of another. In this way, shiplap presents the look of the boards overlapping slightly whereas tongue and groove boards just fit one on top of the other. Tongue and groove is usually a bit more expensive than shiplap, and when used outdoors it is said to do a better job of keeping the elements at bay. 3. Reclaimed wood: Whether you utilize actual reclaimed wood or simply use new wood and make it look old, a wall of reclaimed wood paneling can add loads of texture to a space. The stain color or finish you select will have a lot of sway on the final look. Of course one of the best things about reclaimed wood is the story it has to tell. Though much of it comes off old factories and barn structures, we’ve also heard of it coming from gymnasiums and churches. And there’s something to be said about the one-of-a-kind character that comes from real nail holes, worm holes, knots, saw marks, surface patina, and even chipping paint. 4. Board and batten: There are two types of board and batten that you will see these days. There’s the real deal, featuring real wood panels on top of which the board and batten framework is formed with solid wood battens (strips) and boards (planks). And then there’s the imitation-style board and batten, which is created atop plyboard or even drywall rather than real wood panels. If you ask me, both are fantastic and, whether they run the whole height of a wall or stop half or even three quarters of the way up a wall, serve to dress up a space. This look is most common in bathrooms and dining rooms. Again, board and batten had its beginnings on home exteriors. 5. Beadboard: Beadboard is simply another type of tongue-and-groove paneling, except that the tongues and grooves connect not single boards but panels with the distinctive look of beaded-board plank. Beadboard is usually an affordable and very charming option for adorning your walls, but with many styles to choose from, you will find a range of prices and qualities and “board” widths, with 2½-inch V-bead and 1⅝-inch V-bead being common options. 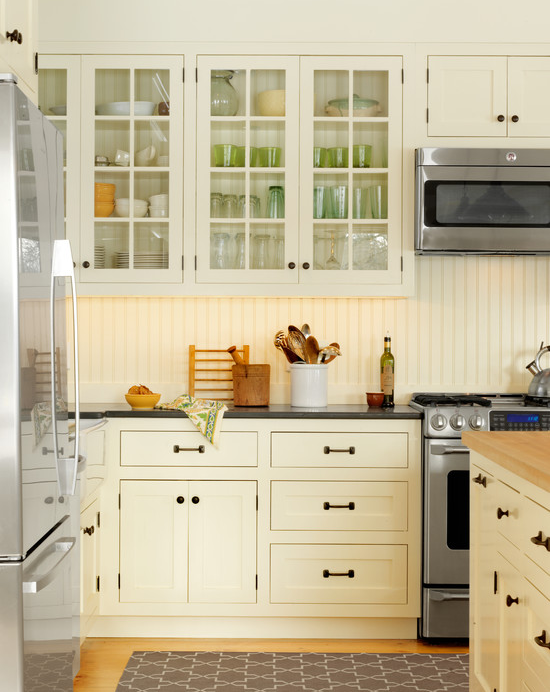 Beadboard works on entire walls, half-walls, or ceilings, on kitchen islands and cabinets, to frame in a bathtub, as a backsplash in kitchens and bathrooms. 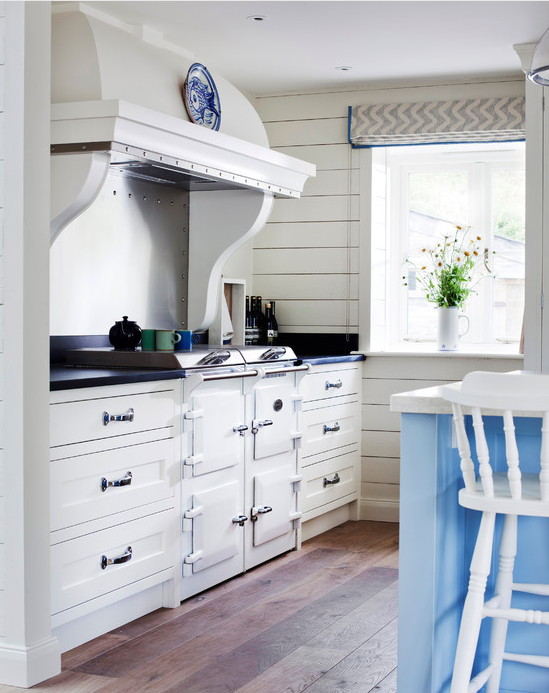 It quickly communicates laid-back farmhouse style. Would you believe that once upon a time beadboard went up stick by stick? 6. Flat panels: Into this category we’re going to group a whole bunch of styles that we’ll call “flat panels.” If you’ve heard of wainscoting, that belongs here, as does most paneling that you’ll hear described as “elegant” or “high end.” The photo we selected above shows painted panels, but you can also think about walnut paneling in a library. This is highly custom work that communicates classic luxe and really adds value to a home. 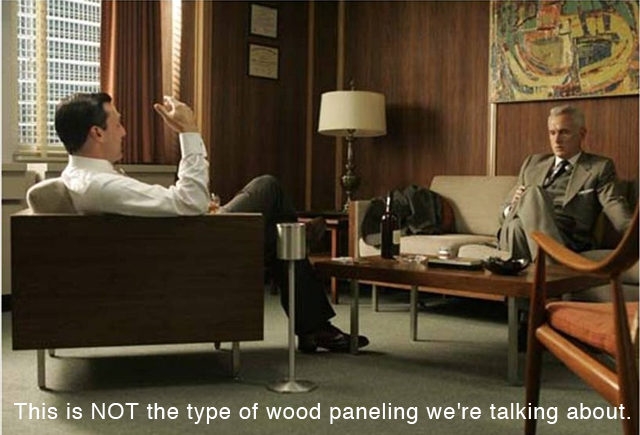 Do you have paneling in your house? What’s your favorite look? Tell us in our comments. This entry was posted in Tips and Tricks and tagged beadboard, paneling, shiplap, tongue in groove, wainscoting on October 27, 2014 by Ellen Barnes.